With pineapple and all the good things in life. Okay, so not ALL of the good things, but a lot of them. 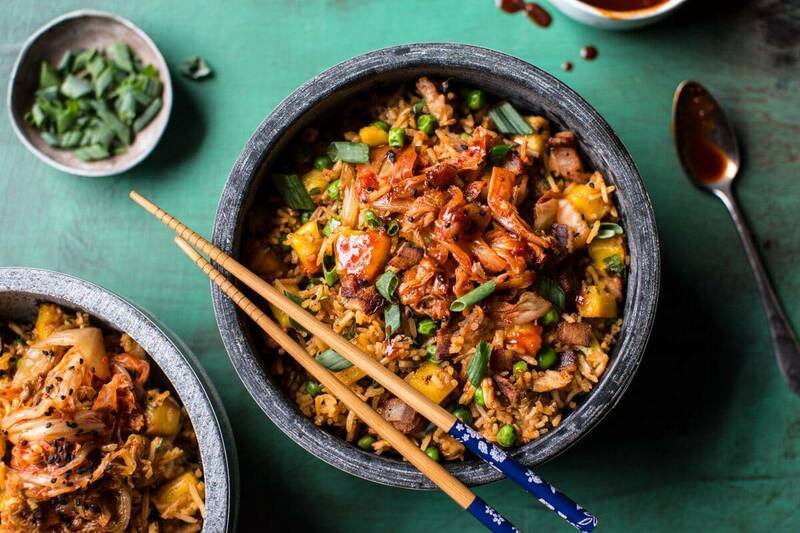 This fried rice is pure comfort food. Think take out, but made healthier…and better…and at home. 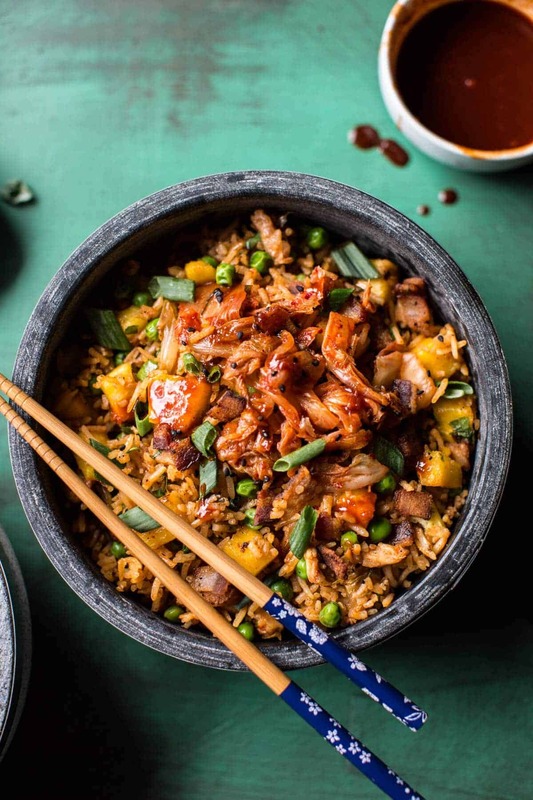 Chicken, bacon, pineapple, RICE and Korean BBQ sauce, aka – really freaking good food! And good food that’s FAST. Like faster than you could call up your favorite fried rice place, order and have it picked up. Do you guys remember your first experience with fried rice? For some reason it’s one of those memories that’s stuck with me. I really don’t know why, it’s not like it’s some amazing story, but I just remember eating it and thinking “I don’t really know what this is, but it’s soo good”. It was Christmas Eve. I know, really odd time to be eating Chinese take-out, but my mom was getting ready for her annual Christmas Eve dinner. It was always a BIG dinner, some years she hosted over 40 people (we have a very big family!). Anyway, mom was running around like a mad women while us kids were probably doing everything in our power to work against her. We did that, not going to lie, my brothers were little devils growing up. I of course, was a little angel…right, right. So someone had brought home Chinese takeout. Can’t say it was lunch time or what time it was, but it was time for me to eat! For some reason I’m thinking it was later in the day, like four-ish, because mom had hit her frantic “UGH…people are going to be here and the house is a mess” state of mind. It must have been my oldest brother Creighton who brought the leftovers home because I think he was the only one with a license at the time. So what I remember is this: Trevor (second oldest brother) and I were sitting on the couch watching Pirates of the Caribbean, eating schezwan chicken and fried rice…with the vacuum running on FULL power mode. I mean, obviously, cause if you know my mom then you know she LOVES her vacuum, and vacuuming has always been part of her pre-company ritual. Pretty weird Christmas Eve right? I also remember zero snow on the ground and the sun shinning (complete opposite of our snowy Colorado Christmases). Must have been why I allowed Trevor to watch Pirates of the Caribbean and not The Santa Clause. Although, I can’t lie, back in the day I really loved Pirates of the Caribbean. I mean, umm, Johnny Depp? I was a preteen, duh. Anyway, my point is, that it was on this day that I fell in love with fried rice. Granted, today’s recipe is not for traditional fried rice, but it’s surely just as good, if not better! Again. Rice. Pineapple. Bacon. Korean BBQ Sauce. It’s fast… as all fried rice recipes should be. All you need is one skillet, maybe a plate or two, a cutting board and a knife…simple. If you wanted to make a vegetarian version, you could totally replace the chicken with tofu or chickpeas. You could also add coconut bacon. Actually that would be AMAZING, I wish I would have thought of it before! For real, the coconut bacon would be so, so good in this dish. Totally doing that next time…which will probably be tomorrow since I have a mass amount of pineapple that needs to be eaten. Maybe my next fake out take out meal should be schezwan chicken? I haven’t had schezwan chicken in SO long. Probably not since we lived back in Ohio and would actually get take out. Pretty sure my family has never had any take out since we moved to Colorado eight and a half years ago. Is that weird or what? There just aren’t a lot of awesome places here, and OK, I kind of cook too much so there’s never really a need for it. And even when I don’t cook, there’s almost always something in the freezer from when I made too much food and no one was around to eat it. So what do you think though? Schezwan chicken?? Yay? Nah? Kind of liking the idea….thoughts? 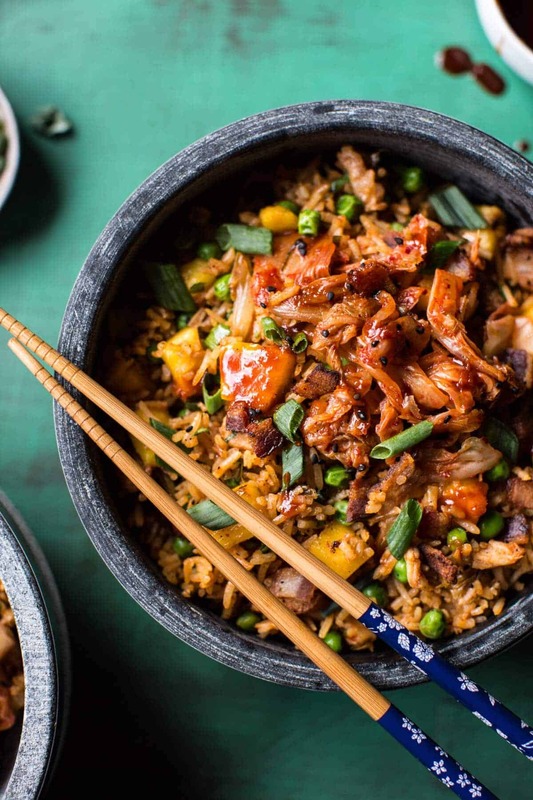 For now, let’s just make this Kimchi Chicken and Bacon Fried Rice and have the happiest Thursday ever! Combine all ingredients in a bowl and whisk until smooth. Set aside. Heat a large skillet or wok over medium heat. Add a drizzle of sesame oil. Once hot, add the eggs and let cook until they begin to set on the edges, then gently scramble the eggs. Cook until soft and set. Remove the eggs from the skillet and set aside. Wipe the skillet clean and return to the stove. Add the bacon and cook until crisp. Drain the bacon on a paper towel lined plate. Pour off all but 1 tablespoon of bacon grease from the skillet. Add a small drizzle of sesame oil and set the skillet back on the stove over medium heat. Once hot, add the chicken and 2-3 tablespoons of the Korean BBQ sauce. Cook until the sauce glazes the chicken and the chicken is cooked through. Spoon the chicken onto the plate with the bacon. Heat another drizzle of oil in the same pan. Once hot, add the rice and pineapple chunks, stir-fry for 2 to 3 minutes. Stir in the peas and kimchi, cooking until warmed through. Stir in the reserved eggs, bacon and chicken and cook another minute longer. Remove from the heat and add the green onions + cilantro. 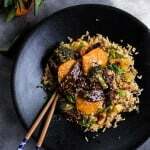 Divide the rice among bowls and serve drizzled with Korean BBQ Sauce and sesame seeds. EAT! Cause I mean, if it’s Thursday, that’s sure to be followed by Friday, and that has me like ???! PS. I am planning more videos for you guys and I would love to know if there are any recipes you would love to see me make?? Recipes already on the site and new ones!! Let me know in the comments!!! ? Wow this looks so delicious! I can definitely picture myself eating this, wrapped in a blanket and watching some movie! Sounds like the perfect way to eat to me! Ohhh that BBQ sauce sounds amazing! 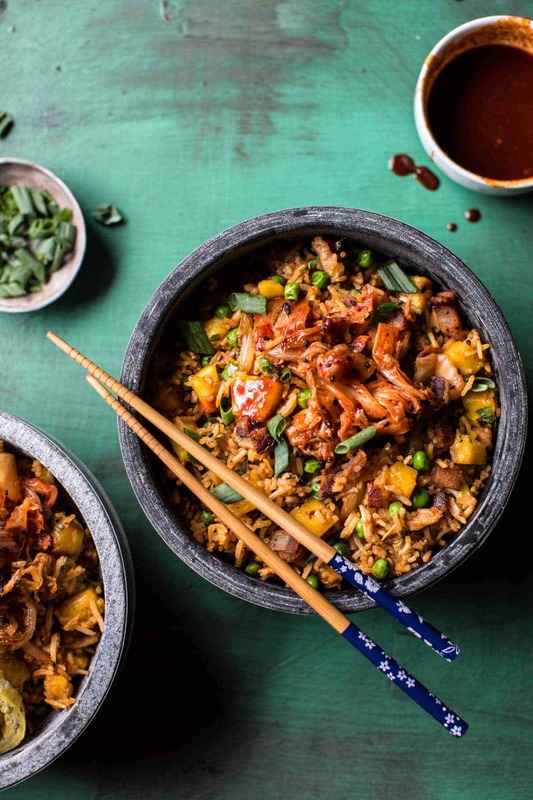 We’ve been meaning to make kimchi fried rice for a while now, but will definitely consider the pineapple and bacon when we make it – sounds like a killer combination! You should!! it was so yummy! Thank you!! OMG. Queue the :Homer drool: meme. I love this. What’s not to love about Kimchi and bacon. We have to try this. Thank you for sharing! I hope you guys love it!! Thank you!! 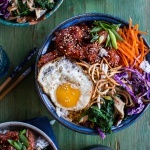 I am very curious about kimchi, it’s something I wish I could find here in Portugal so I could try it. Hopefully, one day I will. This dish looks so refreshing and Spring like! This looks great! Definitely worth a try! A video on homemade wholewheat bread would be nice. Or any of your bread recipes. Thank you for the suggestion!! We didn’t get to do that this time! Hopefully next time!!! Oh my this Sound sooo amazing! I’ve got to make it soon!! 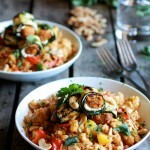 I really love your blog and your really creative and delicious recipes. Anything you come up with, Tieghan, will be amazing, I’m sure. Though I would also love a video of your na’an!! I’ve wanted to make that for awhile, but it kind of intimidates me. Don’t know why, because I’ve made all sorts of flatbreads, yeast breads, rolls, etc. in my time. But I love your videos, especially when you and Asher make things together – so cute!! Thank you soo much! There might just be a video of my Na’an coming soon!! This looks amazing! We love oriental and would be all for Schezwan chicken. We are always experimenting because the closest Chinese place is 30 miles away and we get cravings all the time. 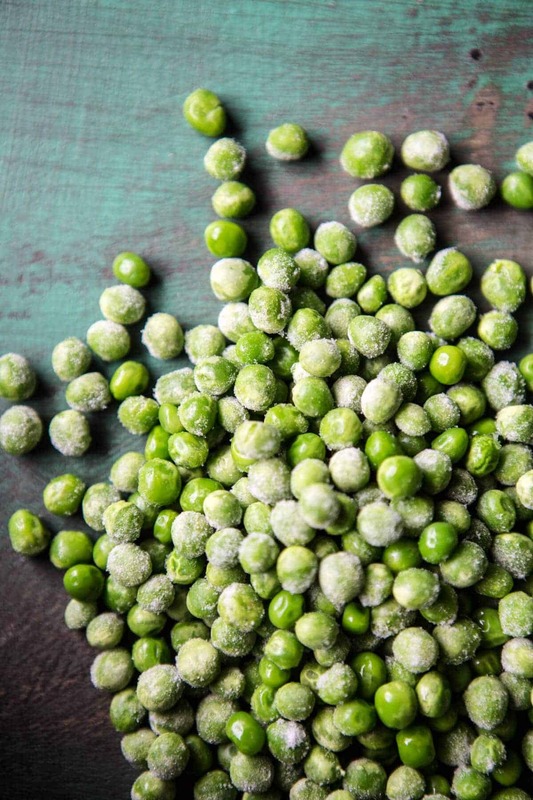 Adding this to our recipes for the next big Saturday cook day. What the heck is “coconut bacon”??? Looks yummy as usual! Loving the kimchi, I might try to make some soon! For the videos, maybe some quick and easy lunch ideas? This yummy fried recipe looks amazing, but the addition of bacon hits it out the park! I would never have thought to combine kimchi and bacon. I can just imagine how amazing this fried rice would taste. Can’t wait to try it! i felt in love with it! it’s on my menu plan for next week! thanks dear! Oh! This fried rice is giving me life! Can’t wait to try this recipe! Thanks for the inspiration! OMGosh! I was just thinking this morning if it was possible to do fried Quinoa instead of rice…like if it would turn out good or mushy?!? A few stores in my area carry a locally made Kimchi! It is so good….it has lots of Daikon in it. Sometimes I just eat it straight from the jar when I’m hunting thru the fridge. Happy Thursday! I have been wanting to try kimchi for the first time and have not been quite sure to go about it. I think this is the perfect gateway! I had no idea that such a thing as coconut bacon existed, but I am very excited about it. I saw this recipe this morning and thought I would try something new. My whole family LOVED IT!! We had never had kimchi either, and don’t eat a lot of foods with a kick. This was delicious. I little time consuming in the beginning but well worth it. This will become a regular dish!! Thanks so much!!!! So happy you guys liked it!! Thank you Kathleen!! Love kimchi fried rice any day and love the bacon in it. Your bowl looks so appetizing and fabulous. YUM! 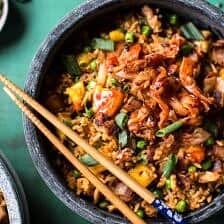 I bet spicy kimchi fried rice would taste extra amazing if it was cold and snowy outside, but here in CA it’s nearly almost always hot outside! Still, kimchi fried rice is one of my favorite things to order at Korean restaurants! Especially when I’m sick because then it just clears my nose hahahha. It will do just that!! Haha. 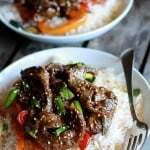 I hope you can try this recipe Joleen!! The moment I saw this recipe, it was on my meal plan. I actually bumped it up earlier in the week so I could make it sooner and it was great! I put it in my roundup of recipes to try. I made this tonight for dinner. It was quick, easy, and delicious! Thank you so much for sharing this incredible combination of flavors and textures! The fiance couldn’t stop raving about it, definitely a keeper 🙂 Followed your recipe exactly, except for the pineapple since we unfortunately didn’t have any on hand but it was still incredibly delicious. Thank you! YAY! Thats awesome! I’m so happy you guys liked it!! Thank you! Awesome recipe -> making this today for my family ? 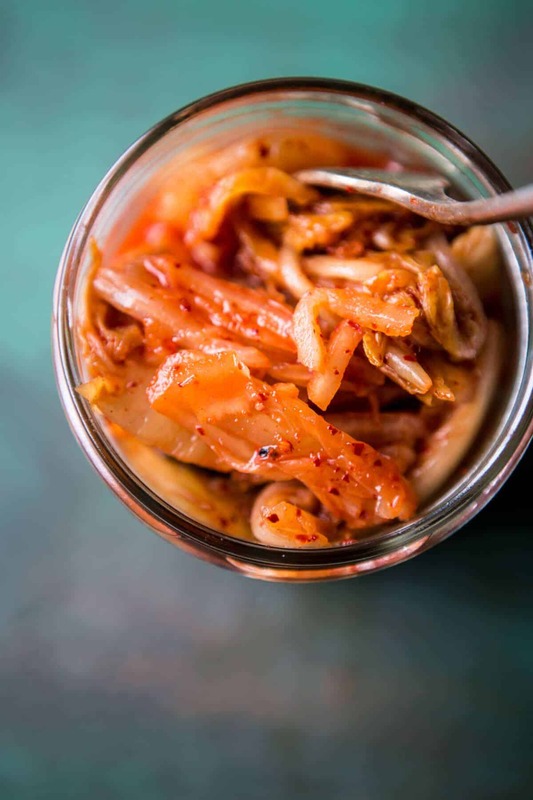 Do you have a recipe for homemade kimchi? The one I can find in the store is horrible ? I made this for dinner last night and it was amazing, such a unique and delicious blend of flavors. Thanks for another great recipe! I am SO happy you loved it!! Thanks so much! ? Sounds wonderful!! Hope you love it! I am so happy you loved this Lindsey! Thank you so much! I am so glad you loved this recipe, Emma! Thank you so much!